Risk reduction as an outcome only takes place if results of risk estimation studies are used to develop action plans for risk-management and risk-reduction strategies. 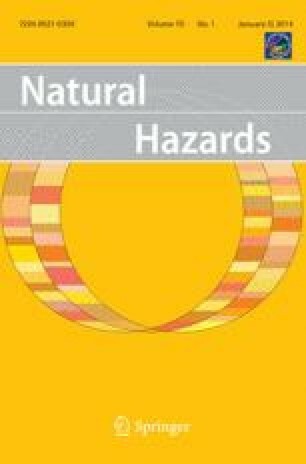 This paper describes an automated model that uses the output of existing earthquake loss estimation methodologies to support decision makers in evaluating a set of competing seismic mitigation strategies and exploring their impact in reducing socio-economic losses of urban settlements. The proposed model is structured to quantify the monetary value of earthquake losses and to find an optimal budget allocation assigned to each mitigation strategy based on user input. The optimization method takes into account both pre- and post-earthquake expenditures, such as costs of building upgrades, critical facility enhancement, temporary shelter provisions, debris removal, hospitalization and human casualty. The system consists of five main modules: (1) building damage function; (2) mitigated damage function; (3) cost estimation function; (4) optimization function; and (5) user interface function. Whereas the optimization function provides the optimal values assigned to each mitigation alternative based on the estimated costs and a defined budget, the user interface allows the decision maker to interact with the software in each step and plan mitigation strategies that best suit the user’s socio-economic requirements and limitations. The outputs of the proposed model are presented with respect to an application in a pilot study area within a vulnerable city district of Tehran, Iran.